Rounded evergreen shrub with dark green foliage. Clear pale pink flowers with light brown blotches burst forth in late May. Ideal for hedge, accent plant or in natural setting. 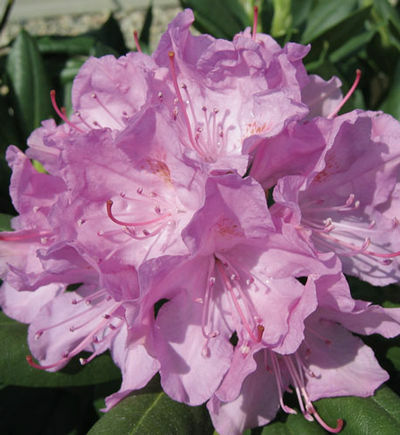 We offer Roseum Pink 18" to 24" in a 5 gallon container.